Being a Blogger or solopreneur many times we face the difficulty in writing great content due to time being or sometimes we need the content that doesn't fall in my area of expertise. Recently we have taken the contract from few companies for marketing and promotions and I needed around 10 articles to be delivered per day for around 10 days and definitely, those were not possible for me to write. So, I tried searching people who can write for me on a different platforms like Facebook groups, Truelancer, and Fiverr. I found some writer but the kind of content I wanted and the delivery time, I didn’t find. One guy from my friend list delivered few article which was of average quality but I had to edit it again. To continue this hunt, recently I came across a new content writing marketplace ContentMart which is an aggregate platform for both content writer and content seekers like me. I was impressed with the kind of quality they were providing and the response time. Today I am going to share my personal ContentMart review which I have gathered after ordering one project and can say I am much satisfied with the quality and delivery and very soon I will post remaining tasks. 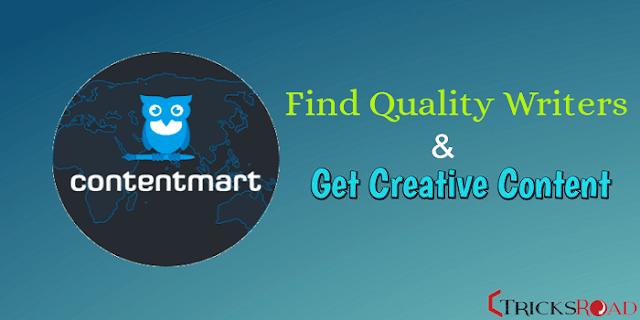 ContentMart is an online marketplace to hire the quality content writer on the go. With over 33 746 writers and 32 296 clients, ContentMart is a leading content marketplace. At ContentMart, you can not only get content for your blogs and websites but also you can get sales copy, ad copy or any other types of content you want! Content writers from different geographic locations are listed here and you can choose to depend on the rating and feedback provided by their previous customers. How to Join ContentMart & Start getting content delivered? If you are impressed with the kind of service they are delivering or want to give a try like I did, join ContentMart. Once you will register, you will get a link on your email id to verify your account. Verify your account and log in. Here you will get redirected to My Orders page. So by now you are all set to place your first order. All you have to do is, click on new order button you are seeing and fill the required details. • Open Order- Here all the copywriter can bid on your project and then depending on your requirement you can select those with whom you would like to work. They will deliver you the content and then you can review and finalize. This is default process. • Hassle Free- What if you are on a tight timeline like me? Then you should select Hassle Free option where you just need to define your requirement and rest will be done by the ContentMart team. Here you just have to first post the requirement and at last, you will receive the final content and everything in between will be done by the ContentMart team. 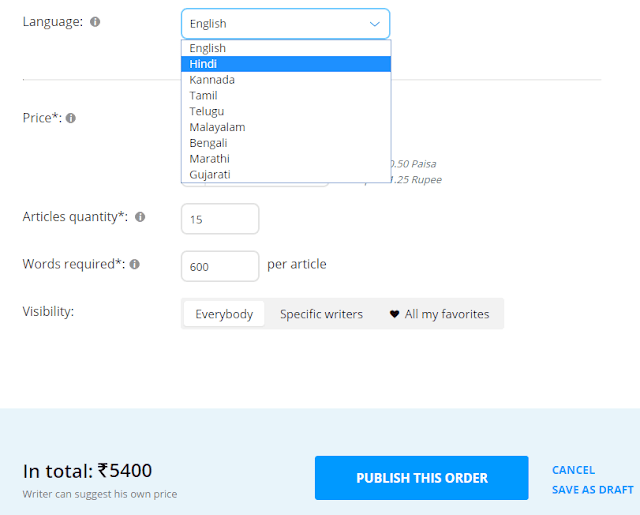 Another thing you would like here is, you can order the content in different local Indian language like Hindi, Marathi etc. Now select whether you want to pay per word basis or article basis, a number of the quantity needed and the words required. Once done, it will show you the estimated price of your order and you can proceed to publish the order. If you have already fed up your account that’s great else you will have to deposit that amount in your ContentMart account. Now wait for some time while the content writers will bid on your project. You can also personally chat with those who have done bidding on your order and finalize the writer. Next is, they will deliver the content in your time specified and agreed. You can review and finalize it. Once done, payment will be delivered and you can give the feedback to the writer. You can also directly hire the content writers from their platform if you don’t want to wait. 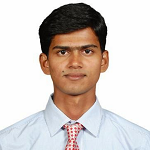 Just search as per your criteria and finalize and assign work. 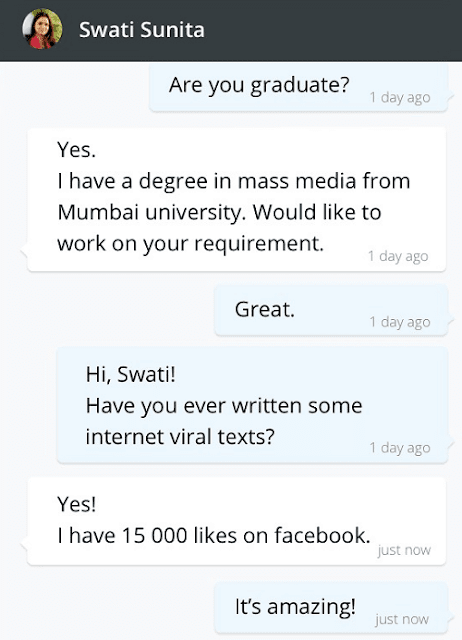 ContentMart is a great platform to hire talented writers. You can get any type of content from their platform in your time-frame without any hassle. Also, if you are a writer you can earn a lot from it by writing for others. To maintain the quality of their content writers’ profile, you will have to pass an initial test and once done you can bid on the project and start working on the project. Also, you can earn from affiliate commission where you will get 10% of the amount your referred client will use for 1 year. Note: ContentMart is closing the India operation and so, we suggest you look for the alternatives to ContentMart.